Sam Boymelgreen is the most recent developer to bet that the office market in Brooklyn is finally on its way up. Boymelgreen, son of developer Shaya Boymelgreen, filed plans on Monday, to convert the former printing plant at 255 Butler Street, into a four-story office building. As reported by The Real Deal, the new plans for the building in the Gowanus neighborhood would span 95,000 square feet. The property, located at the corner of Nevins Street, is known as the R.G. Dun and Company building. The four story factory was commissioned by Robert Graham Dun and completed by the Moyer Engineering and Construction Company in 1914. The building, with its blue terra-cotta detailing over its gray-colored concrete materiality, served as a printing plant until the 1960s, when the printing industry died out. It was then used in the manufacturing of plastic products. The Gothic Revival style building has now been vacant for many years, and has been rezoned for residential use. 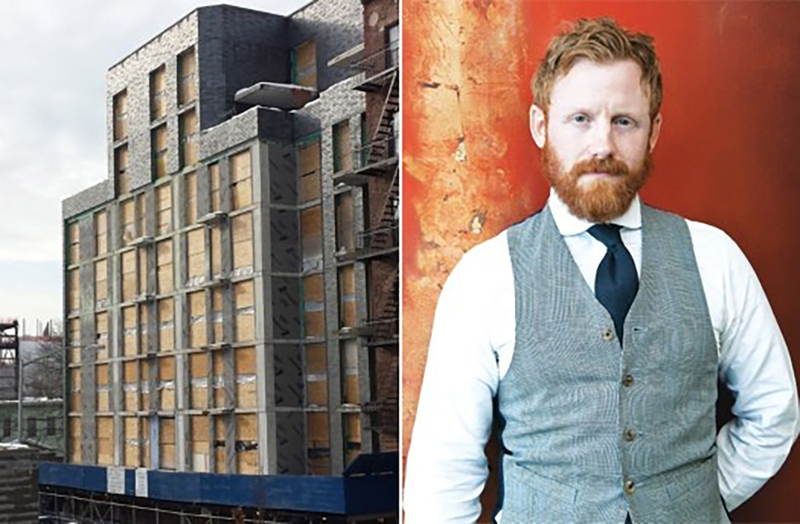 In 2013, Sam Boymelgreen, who was born and raised in Brooklyn, purchased a long time triple-net lease on the building. Originally, in 2014, Boymelgreen, filed for permits to convert the property into a 162-key luxury hotel. Evidently, the tide has turned. Although Thor Equities recently scrapped plans to develop an office building in Red Hook, others are jumping in with the belief that the time for building commercial space in Brooklyn is finally ripe. Rubenstein Development, for instance, is moving forward with an office project at 25 Kent Avenue. The company also has plans in Greenpoint, to develop office space on top of a smoked fish factory. The Gowanus neighborhood itself is currently in the middle of a rezoning process. If approved, it would span 80 blocks by the neighborhood’s infamous canal in South Brooklyn. The rezoning would permit for new mixed-use developments to rise up alongside the water, some potentially as high as 30 stories tall. Some residents have already launched their opposition to the rezoning.